Customers of the ContiTech Power Transmission Group can now call up detailed information about the Automotive Aftermarket products with their smartphone. A QR code on the packaging leads directly to the product-specific information page in the Product Information Center (PIC), the company’s online service. ContiTech has allocated a dedicated QR code to every listed product for the replacement market. The new packaging will gradually replace the current boxes. ContiTech has created a version of the PIC optimized for Internet-capable cell phones for the new service. The QR code is linked to this version. Users can also access the page at www.contitech.de/pic directly with their cell phone. 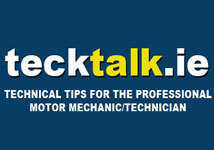 This page gives automotive professionals speedy, clear and helpful information on each article listed, such as technical data, parts lists and pictures. For many of the articles, technical installation tips are also provided along with the answers to FAQs. For more detailed assistance, there is a direct link to the technical hotline. „The new service offers our customers even quicker access to important, specific product information,“ declares Helmut Engel, head of Automotive Aftermarket at the ContiTech Power Transmission Group. Other advantages: No app has to be installed and the information is always up to date. The mobile PIC is already available in eight languages, and more will be added in the future. The user selects the required language version on a one-off basis when starting the product for the first time. This language then always opens automatically on all subsequent occasions.